Elisabeth Sabaditsch-Wolff spoke yesterday at a conference sponsored by IFPS at Trykkefrihedsselskabet (the Danish Free Press Society) in Copenhagen. Below is a video recording of her speech, followed by a very interesting question and answer session. One of the more intriguing questions is raised by the Dutch author Arthur Legger, who suggests that it is time for an international pooling of legal talent — a Europe-wide consortium of lawyers — to fight the EU’s “hate speech” laws. The text of Elisabeth’s speech is here. The video above departs only slightly from the prepared text, but the Q&A is obviously not included at all. This time last year the Swiss pulled out ahead of the rest of Western Europe when they voted in favor of a ban on the building of new minarets. They followed it up today by approving a referendum that would force the deportation of all foreigners convicted of serious criminal offenses. The oligarchy which runs Switzerland — like the oligarchies that administer all Western countries — was desperate to stop this initiative. They tried to lure voters into supporting a watered-down version, which would have recommended deportation, but left the final decision up to judges, who would evaluate each individual case on the merits. Swiss voters, perhaps noticing what happens when things are left to the discretion of progressive-minded judges, did not take the bait, and 53% voted for the stronger version of the new law. It’s worth noting that all major Christian denominations opposed the measure. Just as in Britain, Sweden, Germany, and the Netherlands, organized Christianity seems consistently to act against the interests and welfare of the native population. The same is true of the major Protestant denominations in the United States, which are wholly in thrall to progressive trans-nationalism. Even the Vatican has in large part caved in to Multicultural orthodoxy. 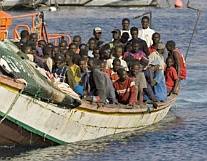 Notice also that foreigners were reported to be overwhelmingly against the initiative. Well, DUH! Final results showed 53 per cent voting in favour of a rightwing initiative. The initiative also won the backing of 18 out of 26 cantons. Turnout was higher than usual — at 52 per cent — a sign of how contentious were the issues being voted on. The rightwing People’s Party initiative called for the automatic expulsion of non-Swiss offenders convicted of crimes ranging from murder to breaking and entry and social security fraud. The proposal denies judges judicial discretion over deportation. Parliament’s counter-proposal was rejected by 54 per cent of voters, results showed. More than 100,000 people demonstrated on the streets of Dublin today in protest against the Irish government’s decision to accept a bank bailout from the EU. The market boost from Ireland’s decision didn’t last long, and the bond market has responded to the continuing European debt crisis with record yields. Investors speculate on which country will be next to need a rescue, and even German bonds are feeling the crunch, as doubt emerges as to how long Germany can keep on rescuing the other member states of the EU. In other news, an Egyptian-born lesbian teenager in Wales is terrified that she will be deported to her native country. Since her family fled Egypt she has “come out”, but now her parents have been refused asylum in the UK, and she may be deported. Thanks to Bewick, C. Cantoni, DF, Fjordman, Gaia, heroyalwhyness, JD, JP, Kitman, Lurker from Tulsa, Nick, and all the other tipsters who sent these in. The EDL staged a demonstration in Preston today, one of three mounted simultaneously in various parts of England. Around 5000 EDL supporters braved the winter weather to assemble in Preston against sharia. This was one of two simultaneous EDL demonstrations in different parts of England which demonstrates a new capability for the organisation. It will only be a matter of time before numerous demonstrations will be possible simultaneously. The demonstration in Preston was largely peaceful, though some trouble was caused during the speeches by some agent provocateurs who had disguised themselves as football fans. The genuine EDL supporters made their views clear with regard to this group of trouble makers. It seems that all manner of measures is used by the EDL’s opponents to disrupt its peaceful demonstrations in an attempt to tarnish its image. The Government has lost the argument and seems willing to resort to any manner of dirty tricks in their desperation. The police behaved in an exemplary and friendly manner both before and during the demonstration. The only real problems occurred afterwards. As EDL supporters were socialising after the protest had taken place, the numerous pubs where they had congregated were raided by the police and all occupants forced to leave. It seems that this was a deliberate provocation, perhaps ordered by the senior politically appointed officers, in order to get EDL supporters to react to this outrageous treatment. It seems that the last thing that the powers that be want is a peaceful EDL demonstration. Nevertheless, the vast majority of EDL supporters didn’t react to this strategy. The way that the police has been corrupted by the oligarchs who now run the British state now means that it is more essential than ever that senior police officers are directly elected like they are in the United States. Politically motivated policing is undermining confidence in the police service and undermining equality before the law which is at the very heart of our democracy (though at odds with sharia). Canada has decided to boycott the UN’s proposed “Durban III” conference. Immigration Minister Jason Kenney said that the event would encourage racism rather than fight it, and said that his country could no longer take part in such a “charade”. In other news, President Obama was accidentally elbowed in the lip by an opposing player in a basketball game at Ft. McNair. The president required twelve stitches to close the cut. Meanwhile, India has created two new divisions — more than 36,000 soldiers — and deployed them in the northeast of the country to guard against a Chinese attack through Burma. Thanks to 4symbols, Bewick, C. Cantoni, Caroline Glick, DF, Gaia, Insubria, JD, Kitman, Nilk, Srdja Trifkovic, Vlad Tepes, and all the other tipsters who sent these in. Below is a news report from AINA about the latest outbreak in an ongoing conflict between the Copts and the municipal authorities in Giza, a suburb of Cairo. The construction of a new church is underway, for which the Christians say they have the proper permits, but the government has intervened to stop the church from being built. The trouble started earlier this month, and the persecution only grew more intense after the Copts resisted the government’s actions. What’s interesting about this latest incident is that the Copts have not been cowed, but are staging mass demonstrations and protesting vigorously. (AINA) — Clashes broke out between Christian protesters and Egyptian security forces over the construction of St. Mary and St. Michael church in Talbiya, within the Omraniya neighborhood of Giza, resulting in the killing of two Copts, hundreds of injuries and the arrest of more than 200 Copts. Nearly 5,000 security forces with over 45 vehicles cordoned off the church site at 3:00 am on Wednesday November 24, while builders were working on the roof. They used tear gas, rubber bullets and live ammunition (video of Copts being shot at). Later on Muslims joined security forces in pelting Copts with stones from under the bridge of the ring road overlooking the Church (Picture enclosed). This was the second time within three days that security forces stormed the Church, but this time they successfully entered and occupied the building. According to eyewitnesses, security forces fired tear gas inside the church, where nearly 200 people were keeping vigil, afraid that security might enter and demolish the building. Swedish artist Lars Vilks is in the news again — and also in the crosshairs of the Great Jihad. Mr. Vilks, the creator of the notorious Modoggies, has been the object of death plots in the past, the most notorious of them hatched by the American mujahidette “Jihad Jane”. Now the fatwas are flying again, and the Modoggie Man has just been targeted for death by al-Shabab, the local franchise of Al Qaeda in Somalia. WASHINGTON - A Swedish fighter with the Shebab, a Somalian militia with ties to Al-Qaeda, has urged Muslims to kill an artist from Sweden who depicted the Prophet Mohammed as a dog, US monitoring group SITE said Tuesday. “Wherever you are, if not today or tomorrow, know that we haven’t yet forgotten about you,” said the Shebab member Abu Zaid in a video warning to artist Lars Vilks. “We will get hold of you and with Allah’s permission we will catch you wherever you are and in whatever hole you are hiding in,” Zaid said in a recruitment video with English and Swahili subtitles that calls for Muslims to join the radical movement. “Know what awaits you, as it will be nothing but this: slaughter! For that is what you deserve,” Zaid said in the video that SITE said was posted on jihadist Internet forums on Monday. “To my brothers and sisters, I call you to make (migration), and if you can kill this dog called Lars (Vilks), then you will receive a great reward from Allah,” Zaid said, according to SITE. Lars Vilks responded to the Somali fatwa with his customary phlegmatic calm. Rather than be alarmed by the news, he surmised that the jihadis will find the cold weather and snow in Sweden too much to tolerate, and will stay away. Not only that, he described the latest video (embedded here below the jump) as more of a recruiting tool for al-Shabab than a real threat. The Somali jihad fighters are looking for more volunteers, and have identified the “Swedes” as likely candidates. A culturally enriched “Australian” tracked down his ex-girlfriend and cut out her tongue. 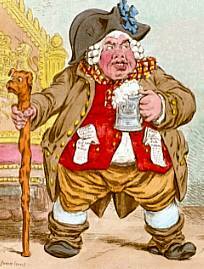 Fortunately, the magistrate in whose courtroom he appeared was sensible enough to deny him bail. This horrendous crime has a Mohammed Coefficient of 100%. He applied for bail today in Southport Magistrates Court via video link from jail. His lawyer argued he should be released to care for his sick father. However, police strongly opposed bail, saying Mr Tahir had tracked his ex-partner down to Queensland despite her changing her name by deed poll and changing her phone number three times. He allegedly found her at her Surfers Paradise unit, bashed her with a rum bottle and used a knife to cut open her mouth and slice her tongue. President Barack Hussein Obama’s paternal grandmother, Ms. Sarah Omar, is on hajj in Mecca with the president’s uncle and four of her grandchildren. She was interviewed by the media, and said that she prays to Allah that her grandson might convert to Islam. In other news, a school in western Sweden is in trouble for allowing its pupils to visit a church during end-of-term celebrations. The problem is that the children were encouraged by the pastor to pray while they were at the church. Thanks to C. Cantoni, DF, DonVito, Esther, Fjordman, Freedom Fighter, Gaia, JD, Nilk, Srdja Trifkovic, Steen, Vlad Tepes, and all the other tipsters who sent these in. The news items from the UK that passed through my hands today were so depressing that I could hardly bear to look at them. First there was the story about a 15-year-old girl who was arrested for burning a Koran and posting a video of the act on Facebook. 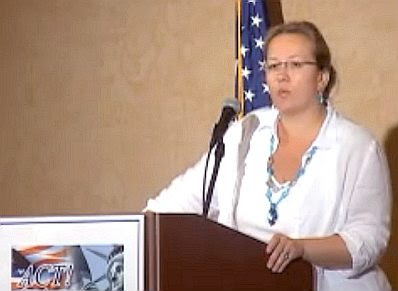 She may be charged with “inciting religious hatred”. But Muslims in Britain need not fear: an All-Party Parliamentary Group on Islamophobia has now been established. In the future anyone who insults Muslims or denigrates Islam will be held to account by the people’s elected representatives. Government counterterrorism officials warn that threat level is estimated to be “severe” during the upcoming 2012 London Olympics, and the risk of terrorism is even higher at street parties and other side events. If you look at both those articles, however, you’ll notice that the word “Islam” is not mentioned once. As far as Her Majesty’s government is concerned, Islam has nothing to do with terrorism. 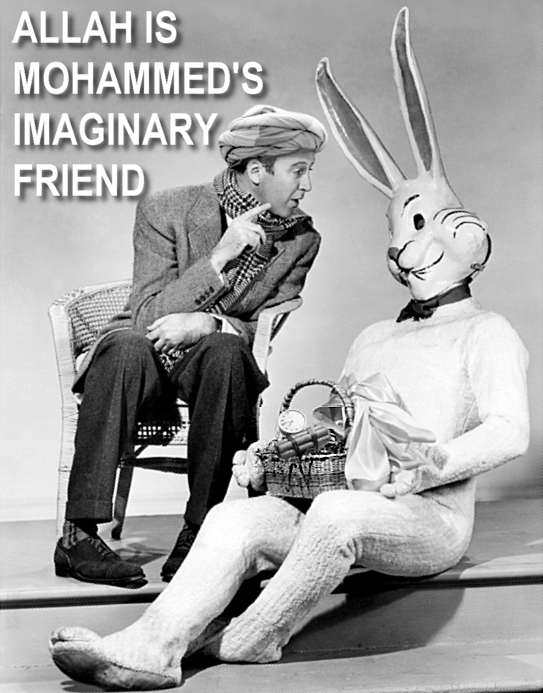 Despite the fact that more than 99% of the world’s terror attacks are committed by Muslims who fight jihad in the name of Allah, Mohammed and the religion he founded never impinge upon the “narrative”. There is only “terrorism”, which is committed by “violent extremists”. And also, of course, the “Islamophobes” who slander the peaceful Muslims. My normal procedure on Thanksgiving is to thank everyone who makes Gates of Vienna possible. But the number of people I need to thank has grown so huge — the tipsters, correspondents, translators, and contributors now comprise more than a hundred people — that it is very difficult to do. I made an attempt during our fundraiser a couple of weeks ago, so that will have to serve, even though I left some people out — which is all but inevitable. I’ll just thank everyone together: you all know who you are. There’s a lot of overlap there — some people wear several hats. We have tipsters who are correspondents, and contributors who are also translators. This is a distributed operation, so the assignments tend to divide themselves up amongst the people who can best perform them. The larger enterprise has become considerably more effective over the last two or three years because we have collected enough people to perform all the necessary tasks. We also have (mostly) sufficient redundancy to make sure we can do the job when required. For example, yesterday afternoon our Danish correspondent TB sent a tip about the “Terror Cell” TV series. He didn’t have the time to translate the Politiken articles, so we sent the task to Anne-Kit in Australia, who delivered the translations promptly. Another volunteer then YouTubed the trailer (minus the commercial, thank you! ), and the whole piece was posted on the same day the articles were published in Denmark. And it had nothing to do with me or Dymphna, but everything to do with the Gates of Vienna community. This transatlantic (and trans-Pacific) confluence of talent and dedication is what makes our project possible. 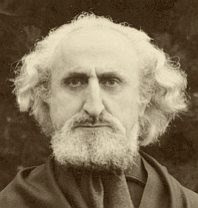 In the comments section to this piece, Elisabeth’s lead lawyer, Michael Rami, takes note of the Terrorism Prevention Law and some of the government’s desired additions, whose effect, as he points out will allow the state to force its citizens to adopt certain, extremely vague “values.” At that point, as he notes, 1984 is not far away. Now the Pope in the Dock, Yet! The next thing for the out-of-control prosecutor’s office will no doubt be to put the Pope in the dock! You have to come to this conclusion when you compare the questions an Austrian citizen in court had to answer, to that which the Pope says in a book of interviews presented at the same time in Rome to a worldwide uproar. But apparently the prosecutors are waiting for the usual charge to be made by the “News”, which is kept afloat by ads from innumerable SPÖ politicians. 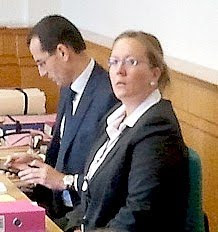 As they did with now-defendant Elisabeth Sabaditsch-Wolff. The trial was adjourned. So it is “Islam”, not just a couple of anarchists. 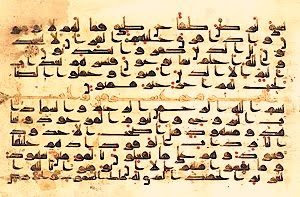 Thousands of times, and quite rightly, it has been charged against Islam as a whole that a series of justifications of violence against non-Mulsims can be found in the Koran, and that the majority of scholars of Islam abjure reason-oriented interpretation of Koranic text. Fortunately, the “News” and the red leaders of the Viennese prosecutor’s office will no doubt protect us from the Pope being allowed to say such a thing again without being punished. They should at least confiscate his book, since otherwise it will, with Thilo Sarrazin’s book, become by far the the biggest seller of the year, all efforts of the leftist media to the contrary notwithstanding. A gang of nine culturally enriched young men in the English city of Derby has been convicted of grooming and pimping underage girls, some of them as young as twelve. A Mohammed Coefficient for the entire gang is not yet available; however, for the two leaders it is 50% 100%. In other news, there is fear that the financial crisis will spread to Belgium, whose public debt is at 100% of GDP, and which has been without a government for six months. Meanwhile, Portugal’s planned austerity measures — including cutting wages and raising taxes — have caused a massive strike of public workers, all but shutting the country down. Thanks to 4symbols, A. Millar, Barry Rubin, C. Cantoni, DF, Fjordman, Gaia, GB, heroyalwhyness, Holger Danske, Insubria, JD, Kitman, Srdja Trifkovic, and all the other tipsters who sent these in. However, just because the sentiment is sometimes used in absurd ways doesn’t mean it’s never apropos. For example, if I have to be naked-scanned or have my generative organs groped at the airport, then I think the terrorists have won. It’s not a huge victory for them, like, say, flying the crescent and star flag over the Capitol would be. But it’s a victory nonetheless. There have been quite a few of those little victories in the last few years. Businesses stopped giving away promotional piggy banks. Molly Norris went into hiding. Juan Williams was fired from NPR. Kurt Westergaard has to live in a specially fortified house under constant police protection. And the Danish TV network SBS is afraid to run a comedy series about incompetent Muslim terrorists. There’s been a new terror warning in Denmark, and it has the TV executives cowering under their beds. One of the interesting things about this story is that the Danish government helped fund a vulgar slapstick comedy series about jihad. A government minister is actually trying to compel the network (a private corporation, if I understand it correctly) to air the series, since the program has already been paid for. He says he doesn’t want to “interfere with the editorial independence of SBS”, but that’s disingenuous. Of course he does — he who pays the piper calls the tune. Many thanks to our Danish correspondent TB for bring this to our attention, and to Anne-Kit for translating two articles from today’s Politiken. I’ve included a trailer for the TV series, so the embedded video is below the jump (to thwart the “Blogger bug”) followed by the two newspaper articles. This news story was shown yesterday on Canadian television. It describes an attempted honor killing by a culturally enriched gentleman in Toronto who ran down his daughter and two other family members with his minivan. The confessed would-be murderer will serve four years in prison for his vehicular attack. Andreas Unterberger has hit the nail on its head and succinctly analyzed the sad state of affairs in Austria. However, after yesterday’s trial there is some hope that freedom of speech may remain. We should not hold our breaths just yet. Austria is on the path to becoming a totalitarian state. That will be clearer than ever this Tuesday. The justice system is actually prosecuting a woman for making critical statements about Islam. 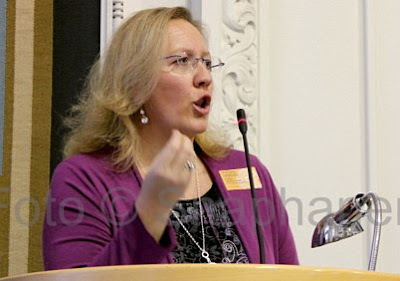 Seminar lecturer Elisabeth Sabaditsch-Wolff — in the cabinet of Wolfgang Schüssel in the 1990s, and later active at several embassies in the Arab world — will be accused of making Islam-critical statements. Meanwhile, in Austria, for time out of mind, every discriminatory act or word against the Catholic church goes unpunished. Behind the Sabaditsch trial — even if it should ultimately result in a not-guilty verdict — is of course stupid partisan political calculation: since the comments were made at a Freedom Party function, the belief is that the rise of the FPÖ [Austrian Freedom Party] can be combated in this way. As a next step in consequence of the show trial, the funds allocated for the Freedom Party’s academy can be removed. As the ruling parties have in the meantime decided to do, to the cheers of the Greens. Almost simultaneously with the bringing of the charge against Sabaditsch-Wolff, probably the most depressing document of postwar Austrian legal history became public: a precise documentation by the longstanding president of the supreme court, Johann Rzeszut, which shows how very much the prosecutor’s office thwarted the pursuit of the accomplice in the kidnapping of Natascha Kumpasch. * A copy of his communication to all parliamentary groups may be found in its entirety in the internet. It is not new that the Red and Green, in the face of steady electoral losses, are ever more willing to turn from the voting booth to the courtroom. Similarly, every dissident in the countries of Eastern Europe after 1945 was persecuted by the communists through show trials. (Something that the Social Democrats, among others affected by that, should remember). Similarly, with political trials, the Nazis criminalized dissidents by the thousands. It is just disturbing that a minister of the ÖVP has also given permission for such a thought trial. Which, to be sure, merely confirms current judgements on the intelligence and foresight of this minister. Even more disturbing is the fact that not a soul in the ÖVP will stand up and advocate for freedom of expression. At any rate, ÖVP has long been the first party, among the meager Austrian offerings in this regard, to represent the values and convictions of classical liberalism. In the case of the SPÖ, this kind of tradition came to an end with the departure of Bruno Kreisky. Recall wistfully how patiently he confronted the democracy-hostile and violent stupidities of his own party’s young (whose exponents then ended up with the Greens). Depending on which source you read, 10, 11, or 15 terrorism suspects were arrested today in Europe on suspicion of plotting jihad attacks in Belgium. The suspects were arrested in Belgium, Germany, and the Netherlands. American intelligence provided information to their Belgian counterparts which helped lead to the arrests. The suspects were also tracked through their use of Jihad websites. In other news, Ireland is in the midst of political chaos following the government’s decision to accept an EU bailout. Meanwhile, Greece is having to enforce even greater austerity to meet the EU’s debt guidelines, Portugal is thought to be next in line for a bailout, and Germany says that it cannot keep bailing out profligate fellow members of the Eurozone indefinitely. Thanks to Amil Imani, C. Cantoni, DF, Fjordman, Gaia, GB, heroyalwhyness, ICLA, KGS, Nilk, Reinhard, Steen, and all the other tipsters who sent these in. The following report came in a press release from Cyprus Action Network. It concerns a debate about the partition of Cyprus, and the illegal Turkish actions that keep the island divided. On Tuesday the 16 November 2010 an emergency meeting took place in the House of Commons in London with Cyprus as its item. The MPs have criticized heavily their colleague MP and ex Foreign and Commonwealth Secretary Jack Straw for his despicable article in The Times calling for partition and one even insinuated that he may have been “paid” to write it. The British MPs spoke and called for all those things the Greek Cypriot refugees demand, only to be regarded by some of their own people as… racists and nationalists simply because they are an obstacle in the implementation of the racist bizonal bicommunal federation. You are forwarded the full text of the House of Commons Hansard Report on the debate on the 16th November 2010 on Cyprus. The discussion starts from paragraph 212WH and finishes at paragraph 232WH. The French Defence League has released another video. This one is about the halal food scam, and the way it imposes a hidden tax on halal meat (which is not even marked as such). The tax, of course, is the mandatory sharia-imposed zakat, which is a compulsory “charity donation” used to fund jihad, among other things. The following television report takes an inside look at private Islamic secondary schools in the UK, and the things that are included in their curricula. Most of these schools are funded and administered by the Kingdom of Saudi Arabia, so the contents of their schoolbooks — death for homosexuals, hellfire for the kuffar, and amputations for thieves — will come as no surprise to regular Gates of Vienna readers. It has caused quite a stir in Britain, however. And the fact that this investigative report came from the BBC, of all places, has made its impact even harder for the ruling oligarchy to ignore. In this morning’s live-blogging report on Elisabeth Sabaditsch-Wolff’s “hate speech” trial in Austria, we mentioned that Robert Spencer was one of the potential expert witnesses who might be called when the trial resumes in January. Elisabeth herself also mentioned Mr. Spencer’s offer of help during her interview last week in the New English Review, excerpts from which were reposted here. 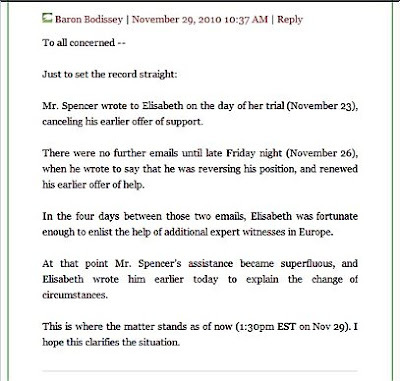 That appears to have changed: Elisabeth says Mr. Spencer has withdrawn his offer of assistance as an expert witness. While this news is dismaying, it is fortunate that Prof. Hans Jansen and Wafa Sultan are both still willing to appear on her behalf. Professor Jansen is Dutch, and assisted Geert Wilders at the latter’s recent trial. Prof. Jansen is one of the foremost Arabists in the world. Wafa Sultan, originally from Syria but now living in America, is a Muslim apostate. She is a psychiatrist specializing in the tyranny of the theological and political ramifications of Islam. In other words, Elisabeth has excellent, expert witnesses who can stand by her during the coming ordeal of her trial. Nonetheless, the absence of Mr. Spencer is a keenly felt setback. No one can take Mr. Spencer’s place when it comes to speaking eloquently about the danger of Islam. I have been privileged to hear Mr. Spencer speak twice, both times in October 2007. 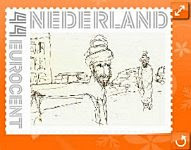 The first occasion was in Antwerp, where he gave a talk to a gathering of Vlaams Belang members. His presentation impressed everyone. He spoke again two days later at the Counterjihad Brussels conference. Both lectures were lucid and inspiring. Mr. Spencer’s work, his wisdom, and his ability to respond to those who promote Islam as a “Religion of Peace” have earned him a unique place as a leader in the Counterjihad. Come January, his knowledge and eloquence will be sorely missed in Vienna. The trial of Elisabeth Sabaditsch-Wolff for “denigrating religious teachings” begins today in Vienna. For those who are unfamiliar with the case, see the list of previous articles at the bottom of this post. This post will stay on top for a while, and updated as required. Later material will be added at the top. Note: The times given here are Helsinki time, which is an hour later than the time in Vienna. They are seven hours later than EST. Final update 14:34 (7:34am EST): The remainder of the hearing has been postponed until January 18th, so it seems that Elisabeth’s ordeal will be dragged out for at least several more months. Those of you who are religious, please pray for her. 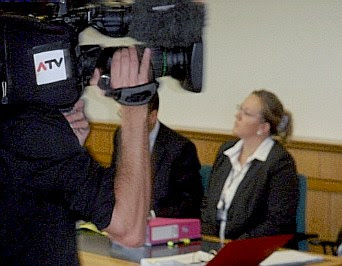 The NEWS journalist Dolna was called as witness. Technicalities of her recording equipment were discussed by the judge, including the fact that of the first seminar, only half an hour was recorded. The judge inquired about some of the statements quoted being from breaks, not from the seminar proper. Only three to four persons heard those, not 32 or more, the criterion for a statement being “public”. This is important for legal reasons, as only statements made to a large group can be punishable. The judge dug further into the methods of the journalist. Why did the journalist quote statements made in the breaks, not part of the lecture? The journalists says “For journalistic reasons”. Also for dramaturgic reasons, that it makes for a more dramatic and catching article. Further, the judge asked if it was made clear in advance that the journalist would be recording the seminars. She responded that she had not told anyone, as her work constituted “investigative journalism”, a journalistic tool. The lawyer probed further into the issue of the quotes being part of the prepared seminar, or offhand comments in the breaks. 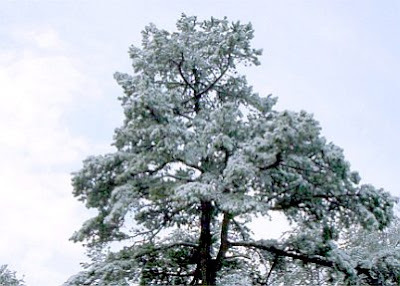 Next, the events concerning the opera “Idomeneo” were discussed. The background is that the performance of this classical Mozart piece by Deutsche Oper Berlin, which was cancelled due to Islamic pressure. The director had added decapitation of Buddha, Jesus and Muhammad to the original play. Fear of unrest caused the play to be cancelled. The well-known German magazine Focus had, in that context, written that we should under no circumstances cave in to pressure like this. This rounded off the day after roughly three hours of hearings. Since there is a need to play the complete recordings (eight hours) from the seminars, the next hearing was scheduled for January 18th. The proceedings had a serious breach of procedure: The journalist from NEWS.at had not been summoned as a witness, yet was permitted to take the stand. Witnesses are not permitted to be present at the hearings before they are summoned. The defense lawyer will look into possible consequences of this. This is the end of reporting for today. Please join us on January 18th 2011 for more news from the frontiers of defending the free societies of the West. 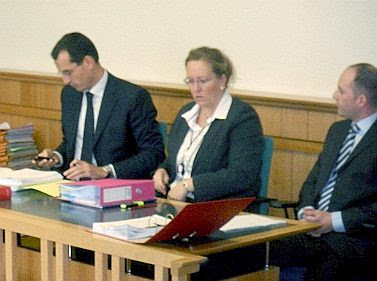 Live-blogging of the trial of Elisabeth Sabaditsch-Wolff will resume on January 18th. In the meantime, I ask everyone to please publicize her case. We need to light a fire under the fundaments of the Austrian oligarchs who brought about this travesty of “justice”. Update 13:54 (6:54am EST): The hearing was adjourned for the day at 12:08 local time. The afternoon session was skipped, because they will have to play the whole tape, which will take extra sessions. Henrik will have a final report on this morning’s session. Live-blogging in German at SOS Heimat. Update 13:06 (6:06am EST): Live-blogging in Dutch at the Amsterdam Post. Lawyer: What is meant by “We are decadent”? Elisabeth: That is the point of view of Islamic fundamentalists. Lawyer: What is meant by “We do not want Sharia here, full stop”? Elisabeth: Free, secular societies is what we want. Lawyer: What is meant by “Islamic law is not compatible with free societies, we need to understand this.”? Elisabeth: Islam is a whole, and this whole is not compatible with free societies like the Austrian. Lawyer: Did you see any veiled Muslim men? Elisabeth (laughing): No, this is an obligation only for women. Lawyer: You were referring to Paris, Brussels, Rotterdam. What is the meaning of that? Elisabeth: This is a reference to the no-go zones, where Sharia is effectively the law. There immigrant youths torch cars, throw stones at the police, etc. Prosecutor: Are each and every one of these persons Muslims? Lawyer: What is meant when you say: “How many times have we been told that Islam is a Religion of Peace?” Is this an incitement to hate or violence? Elisabeth: I do not mean to incite hatred or violence. We need to be informed, make people aware, inform our politicians and write letters to the newspapers. Lawyer: What is meant by “We do not want gender apartheid, polygamy”? Elisabeth explains polygamy in Islam, and the fact that this is a reality in Europe, today. Elisabeth finally tells about the First Amendment of the US Constitution, the absolute right to express ones’ opinions, as a fundamental prerequisite for a sound democracy. At this point, more people have arrived. There are 18 seats for the audience, 30-35 listeners total. Update 12:06 (5:06am EST): The significant event at this point of the trial is the unwrapping of ’Umdat al-salik wa ’uddat al-nasik, or The reliance of the traveller and tools of the worshipper. It is commonly referred to as Reliance of the Traveller when cited in English. They are using the Revised Edition (published 1991, revised 1994), which is “The Classic Manual of Islamic Sacred Law ’Umdat al-Salik by Ahmad ibn Naqib al-Misri (d. 769/1368) in Arabic with Facing English Text, Commentary, and Appendices”, edited and translated by Nuh Ha Mim Keller. This an authoritative source on Sunni Islamic law, because it is certified as such by Al-Azhar University in Cairo. This Irish government finally caved in to pressure and accepted a bailout from the Eurozone, with additional help from the British government. The decision caused some of the smaller Irish parties, including the Greens — who objected to the planned austerity measures — to withdraw from the governing coalition. This forced Prime Minister Brian Cowen to call new elections for January, although he will not resign until after the new budget has been approved. In other news, the Cordoba Initiative — the group behind the Ground Zero Mosque, headed by Imam Feisal Abdul Rauf — has applied for a $5 million grant from the fund set up to help rebuild Manhattan after the 9-11 attacks. Thanks to Barry Rubin, C. Cantoni, CSP, DF, DF2, Don Vito, Fjordman, Gaia, ICLA, Insubria, KGS, Kitman, Mary Abdelmassih, Nilk, Srdja Trifkovic, Swenglish Rantings, and all the other tipsters who sent these in.